Tribes in Africa – Read about Africa’s fascinating tribes! Red costumes, ochre-coloured hair and brightly-coloured headgear. These are just some of the characteristics of the different African tribes. And just as they look different, they have different traditions, too. Some tribes have distinctive spitting rituals, others dance rituals, while others have rituals when it comes to marriage. 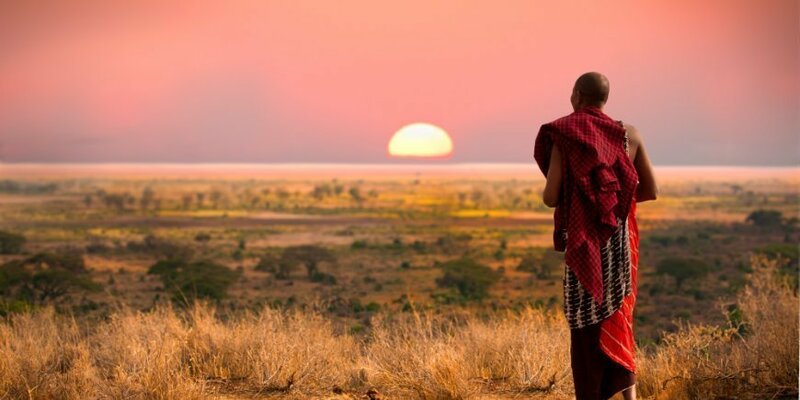 Come with us to the breathtaking tribes’ Africa! In Africa, there are about 3,000 tribes, speaking more than 2,000 different languages. The African population has been marked by immense change over time. Some tribes have died out, while others have joined together, been split or even formed due to the continent’s colonisation. In Africa, you can see the groupings of the many fascinating and unique peoples with your own eyes. Read on here and learn more about six different tribes Africa, each with their own characteristic features and rituals. According to some experts, the San people are one of the world’s oldest tribes and very probably the first inhabitants of southern Africa. They have lived as hunters for thousands of years. An integral part of the hunter culture is the healing dance. This tradition carries on through the night. The village elders and healers dance around the fire as they chant and take deep breaths, until they reach a trance-like state. The seance is attended by the entire village, and the trance is said to be able to put people in touch with the departed, or cure illnesses. 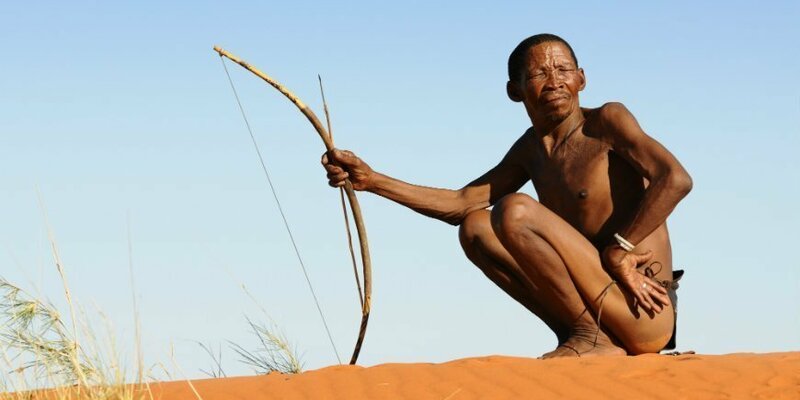 Some 100,000 people are left in the San tribe, who are also known as bushmen. They are recognisable for the characteristic clicking sound they make when they speak. The tribe lives in several African countries, including Namibia and South Africa. The largest tribe in South Africa is the Zulu, but this has not always been the case. 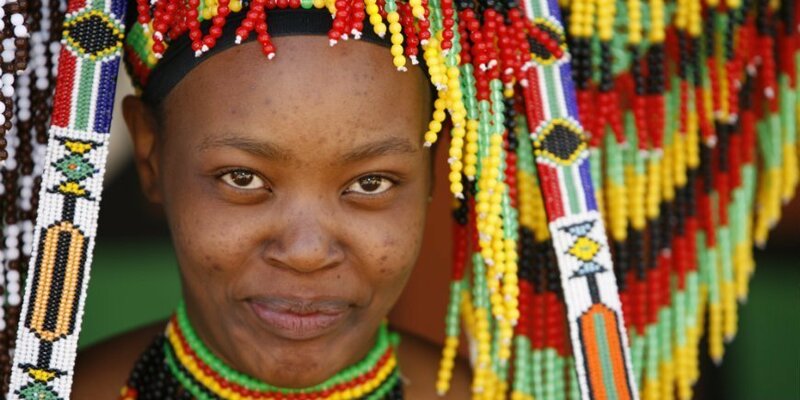 The Zulu originate from eastern Africa, but migrated to South Africa hundreds of years ago. The Zulu belong to the group of tribes that speak Bantu. Bantu-speaking tribes have a tradition in which the groom’s family negotiates the wedding in a house with the family of the bride. This tradition is known as lobola. Nelson Mandela is said to have given 60 cows in a bridal lobola to the family of his soon-to-be wife, Graça Machel. Some of the key characteristics of the Zulu are their colourful beads, carvings and baskets. But they only wear their traditional clothing for special life events, including weddings and funerals. The Masai live in the East-African countries of Tanzania and Kenya. When you see them, you are in no doubt. Their red clothes, known as shuka, their pierced ear lobes and colourful ornaments are all hallmarks of the Masai. The tribe speaks Maa, while many of them can also speak Swahili. 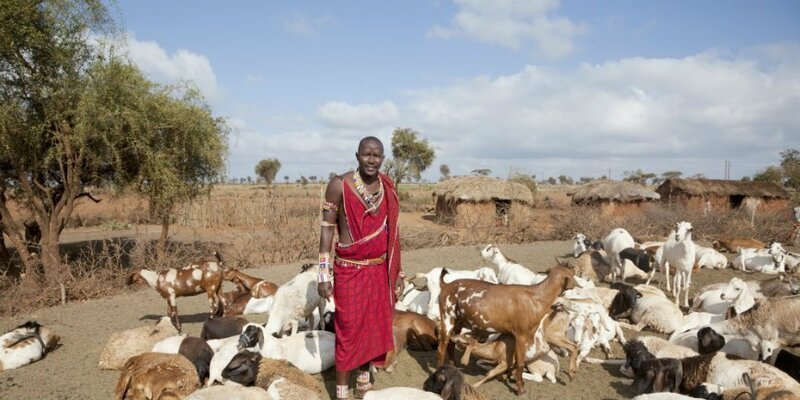 The Masai are known as herds and warriors, but they look after the wild animals, eating only goat, lamb and beef. The tribe has one very special tradition. They spit. For them, spitting means a blessing, and it is something they do throughout their lives. Babies, for example, are spat on to wish them a good life. The tribe also believes that spit says a lot about a person. Northern Namibia is home to the Himba people. The women of their tribes are famous for their appearance: their thick, red hair and their complexion. This unique colour comes from a paste made from butter, ochre and fat. The paste is known as otjize, and they apply it every day to their skin and hair alike. For the women, it is purely about appearance, and not for protecting against the sun or insects, although the paste does help with this. 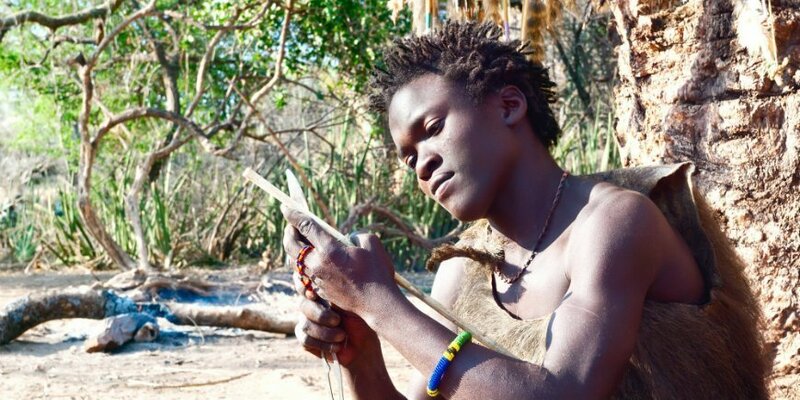 The men of the Himba tribe do not use the paste. Today, there are around 20–50,000 Himba left. They are cattle breeders, but survive mainly on a porridge made from corn flour. Every day a fire is lit. The so-called sacred fire, okuruwo, is a symbol of the tribe’s ancestors. The fire is also used as a tool for meditation with the god Mukuru. Tanzania is home to the Hadzabe tribe, which still lives in much the same way that it has done for some 10,000 years. They do not grow crops themselves, but forage in the wild. More precisely, the 1,000 or so remaining Hadzabe people live in caves near Lake Eyasi close to Ngorongoro and Serengeti in Tanzania. There is no social enforcement of monogamy. They pair up when they have slept around the same bonfire for a period of time, but if they don’t want to be a couple any more, they leave. Twosomeness is that simple – or not! Labour is divided in the tribe. Children and women forage for food such as berries, roots and fruits, while men find honey and hunt. Some of the most important tools they have are something to cook in, a knife and a bow and arrow. If they have these, they can get by. They make their bows and arrows themselves from the sinew of animals such as giraffes, and the poison of the desert rose is used to make the arrows extra lethal. South-east Africa is home to the Swazi tribe – also known as Swati. The tribe, which speaks the Bantu-Nguni language, lives in South Africa and Swaziland, and was initially part of the Nguni tribe. One of the special characteristics of the tribe is that they dance the so-called reed dance for eight days. The primary purpose of the dance is to pay tribute to the queen and to preserve the innocence of single women. They also have other dances, such as the rain dance. With their spectacular dances, it is no wonder that they are known as the royal dance tribe. 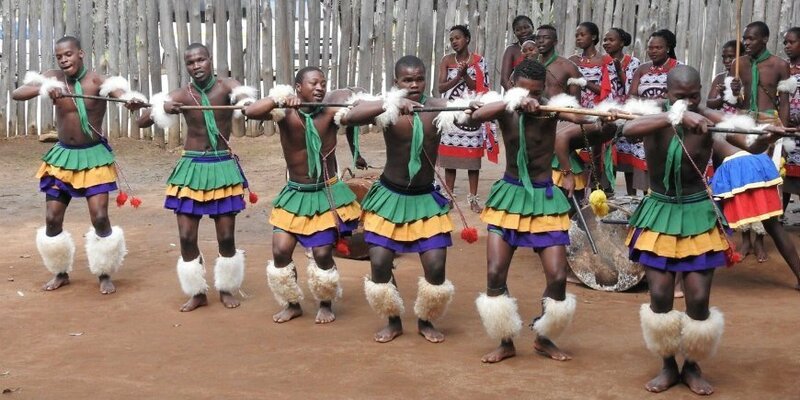 The Swazi tribe is not only keen to uphold its traditions such as the dance, but it also clings to traditional ceremonies, religious beliefs and healing methods. Appearance-wise, colour is very much a feature of the tribe’s clothing. And their clothes are not the same. 3–8-year-old boys wear a piece of leather, while girls wear a grass skirt or a piece of fabric with a bead necklace. Unmarried adult men wear a leather loin cloth and bead ornaments while unmarried women wear a fabric dress and their hair up in a bun. Would you like to experience Africa’s tribes? If you would like to experience an African tribe, you have every opportunity to do so on our tours. Depending on where you are going on your tour, there are different tribes you can meet. Contact our travel consultants, if you would like help choosing the perfect tour for you.